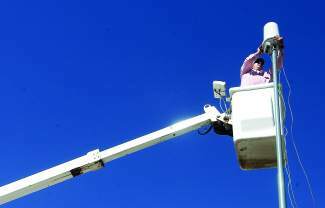 The problem, local officials say, is a deficiency in broadband connection, the infrastructure that makes high-speed round-the-clock internet connection possible. When Summit County’s limited broadband is overloaded, those connections may falter or fail. Colorado’s northwestern region has fallen behind its neighbors in terms of broadband performance, in a state that is only in the middle of the pack nationally in a country that is at best mediocre in comparison to its counterparts internationally in broadband speeds, reliability and cost. It’s a problem officials say could be an impediment to education, health care and economic development for the rural counties in the area, and it has been catapulted to the top of the priority list for the Northwest Colorado Council of Governments (NWCCOG), a coalition that represents the interests of municipalities in the region. Backed by a $65,000 grant from the state Department of Local Affairs, NWCOGG commissioned a study intended to identify gaps in broadband infrastructure across nine counties, including Summit, and produce recommendations for improving that infrastructure and developing policies that will promote access to high-speed internet in the rural northwest. The consultant charged with completing the study is holding meetings with elected officials in the participating counties and asking members of the public to complete a survey on the issue. The study is intended to establish the need for broadband in northwest Colorado compared to current availability as well as analyze gaps in service. Ultimately, Recanzone says stepping up connectivity in the region will come down to improving the capacity and price of extending broadband to households and businesses within communities — last mile access —­ and ensuring the reliability of the infrastructure that reaches out to those communities — middle mile access. The consultants will be on the lookout for ways to improve efficiencies in infrastructure and take advantage of cost-saving opportunities. The study includes Eagle, Garfield, Grand, Jackson, Moffat, Pitkin, Rio Blanco, Routt and Summit counties. Broadband access in Summit County is better than in many of the other counties involved. Broadband is essentially high-speed internet access that does not require a dial-up connection and does not block phone lines. It connects users to the highest quality internet services including streaming media, internet phone and interactive services with less delay in transmission, by allowing large quantities of content to be carried over a fiber pipeline. For example, it could take nearly 20,000 minutes to download a high-definition movie using a dial-up connection or 369 minutes on standard DSL. But high-capacity fiber infrastructure would allow the same movie to be downloaded in as little as one minute, according to data Recanzone provided.